DemocraTEA 2016: LiberTEA for all. Living in a world with so many flavors and types of teas, the freedom to choose is imperative. From Clinton, Trump, Sanders, Johnson, and Stein the tradition for political satire is a constitutional right; as is our freedom to choose. So raise your cups, mugs and thermoses and sip to our love of tea and freedom. Click on the vote button to cast your vote! If a third Party gets 25,000 votes, we make them into a tea. Click on the campaign sign you love. Download, print, post or share on social media, use the sign hashtag for posting. "I'm With Tea" "Make Tea Great Again" "Live Tea" "It's In Your Cup" "A Tea You Can Beleaf In"
In 1773, The Boston Tea Party showed our love for LiberTEA! We weren't going to make a deal with the British over our use and enjoyment of Tea. For DemocraTEA 2016, things are different. Today, everyone loves deals & tea drinkers love working together and sharing. Below are our DemocraTEA 2016 partners, patriots who support taking back America from coffee. They are offering special discounts, during the election season, just follow the instructions to get the deals. 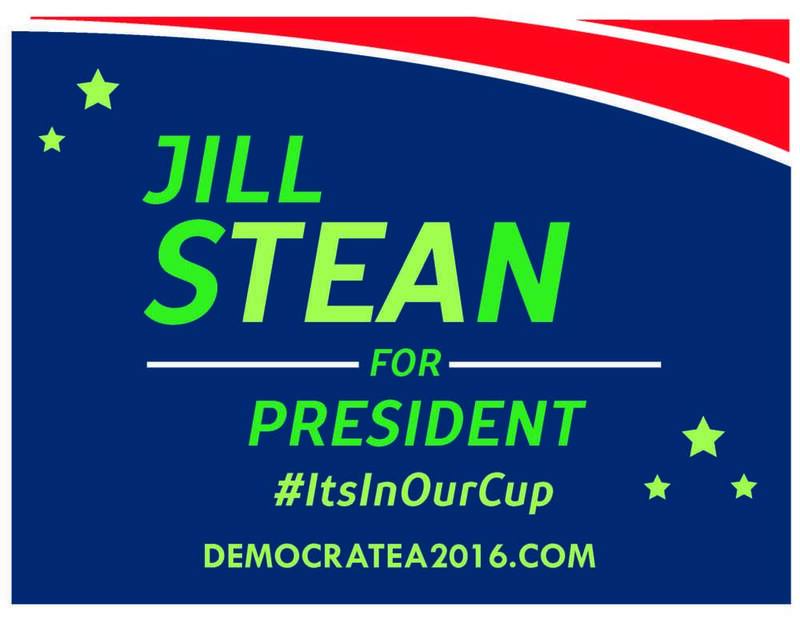 You can also download our DemocraTEA 2016 political signs. Post and share to show your love of TEA! Get weekly DemocraTEA 2016 results, tea deals and more.